Does your vaporizer tank leak? If so, you shouldn’t panic – it’s a pretty common occurrence, and happens to every vaper at one point or another. In fact, it's almost a rite of passage in the vaping world. Of course, that doesn't make it any less frustrating when you get e- liquid all over your hands or in your mouth. In addition to being messy and difficult to clean up, direct contact with liquid nicotine can make you sick. If your vaporizer suddenly starts leaking, here are a few quick and easy tips for fixing it. In most cases, when e-liquid is leaking from the tank and into the battery, the problem isn’t a leak at all – instead, it’s a flooding issue. Flooding typically occurs when a vaper inhales too forcefully, causing an overabundance of liquid to be drawn onto the atomizer. When the heating coil isn't able to vaporize all of the liquid, it can only go one of two places: the battery or your mouth. As any vaper who has gotten a mouthful of un-vaporized e-liquid can attest to, it is not a particularly pleasant experience. The alternative is also not desirable, since flooding a cartomizer can kill the battery and cause an irritating gurgling sound. If e-liquid appears to be coming from where your battery terminal and tank connect, this is a strong indication that your tank is flooded. Flooding can also happen if a user overfills their tank or tries to add liquid to the atomizer when the wick is already saturated. This generally happens when a user forgets how much vape juice is in their juice reservoir or the atomizer's heating coil is on its last leg. Leaking, on the other hand, occurs when small cracks appear on the tank (usually the base), causing liquid to seep out. Some e-liquids, such as menthol, cinnamon, and certain fruit flavors, have a reputation for causing plastic tanks to melt or crack when mixed at high temperatures. Glass tanks are specifically made for these kinds of liquids. After you've identified whether the problem is leaking or flooding, it's time to repair it. If your tank appears to be flooded, the good news is there may not be anything wrong or faulty with the device. As long as your atomizer coil is still working correctly, all you need to do is disassemble your device and dry off the excess liquid with a paper towel. You will also want to blow gently through the tip (think of it as a reverse vape) to ensure the gurgling noise is gone. Then, reassemble and vape away! In order to avoid flooding your vaporizer again, consider switching to a clearomizer or clearo-tank. This way, you will easily be able to see how much vape juice you have left and won't accidentally overfill the cartomizer. If you are one of the unlucky few whose tank is leaking due to cracks, rather than flooding, then your best bet is to purchase a new one. Plus, if your heating coil is going bad, there is nothing you can do to fix it - in that case, it's time for a new atomizer. If you are a visual learner, you'll want to check out our video tutorial showing you how to prevent leaking and flooding of your vape tank. Direct dripping is a vaping technique that some advanced vapers use to get more vapor production without compromising flavor. The problem with dripping is that an atomizer contains no filler material to soak up excess liquid. As a result, even experienced vapers can tend to drip too much liquid onto their heating coils and end up with it all over their hands. Drip tips make this process easier, but it still isn't perfect. Vapers are urged to use caution when direct dripping. 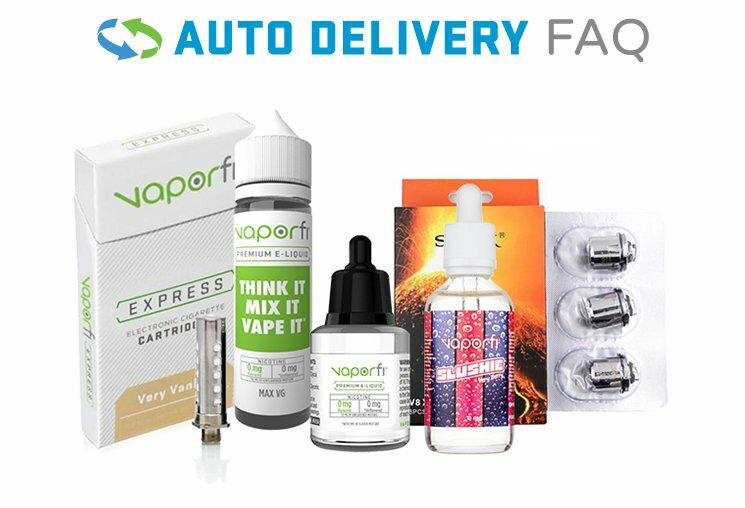 At VaporFi, we offer a full selection of top quality, advanced vaporizers that are built to overcome many of the common problems plaguing other devices, such as leaking and flooding. All of our VaporFi brand vaporizer cartomizers and tanks contain O-rings, which create an air-tight seal and keeps the vape juice where it should be—in the tank, not on your hands or in your mouth. Upgrade your vaping experience today with one of our innovative vape devices or continue your vaping education by checking out the other articles in our Knowledge Center.